With odd instrumentation, unconventional songwriting and a generally itchy, discordant vibe, the London group’s three original albums (1979’s self-titled debut , 1981’s Odyshape, 1984’s Moving) were mildly successful on the UK indie charts but proved highly influential. (Their records have aged exceptionally well.) Kurt Cobain was a huge fan, and actually got his label DGC to reissue the Raincoats’ albums and convinced the band to reform and open for Nirvana on a 1994 UK tour, though he would die a week before it was to start. 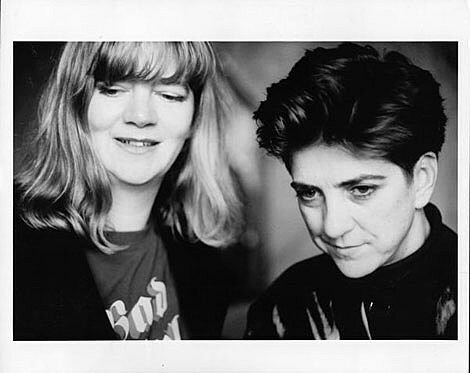 But the reformation proved creatively successful, and Raincoats recorded a third album, Looking in the Shadows, in 1996. They’ve stayed sporadically active ever since. 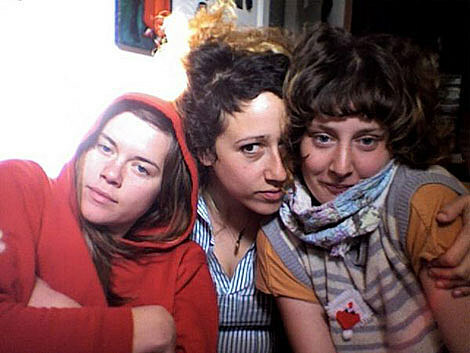 Openers on this tour are San Francisco’s Grass Widow who are definitely direct descendants of The Raincoats style and sound. Their new single “Milo Minute” is a little more straightforward than anything we’ve released in a while, I like it a lot. The video, filmed at Boston’s Franklin Park Zoo, is below. 24 September 2011 Pop Montreal, Montreal, Exhibition.